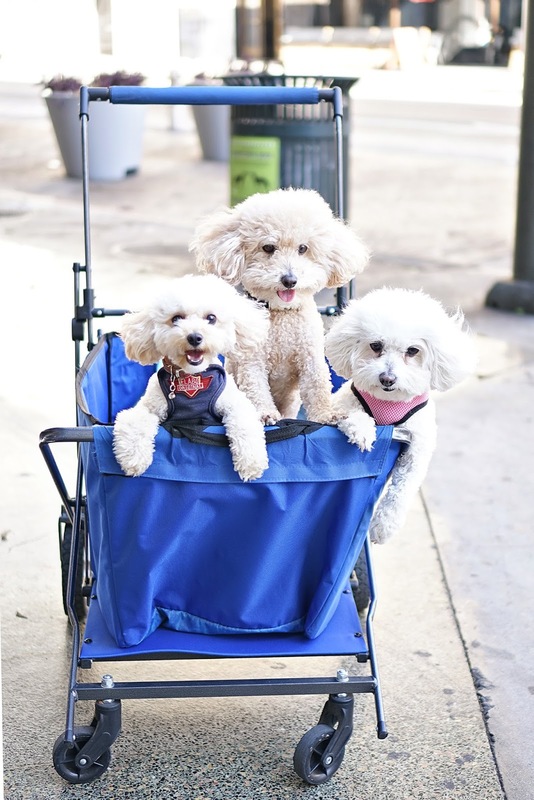 Some adorable locals I met while strolling. 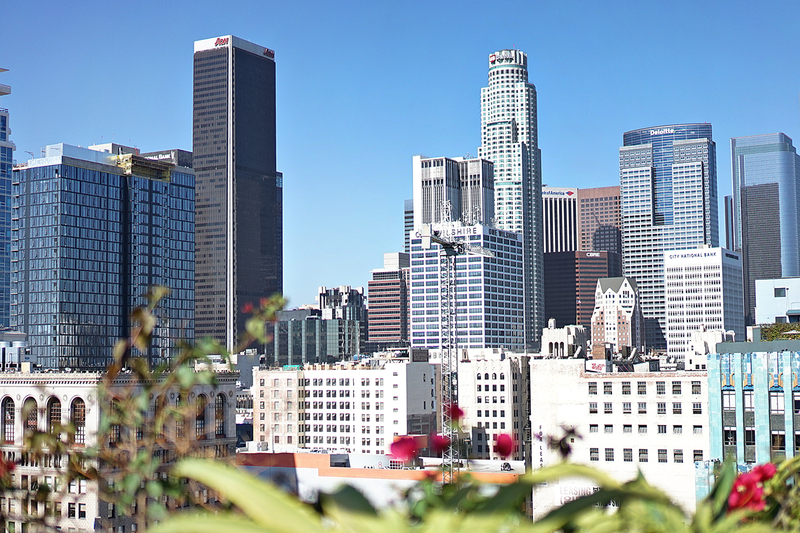 I will admit that my first impression of downtown LA (or dtla as the locals say) was not great. I was horrified by the smell and the trash the first time I emerged from the metro. Downtown started to grow on me, however, when I finally found a Dunkin Donuts! And then it really grew on me when my cousin introduced me to Bottega Louie and the Ace Hotel. Both are amazing, and I have gushed over Bottega Louis here. The Ace Hotel is very hip and chic. They have a fantastic rooftop bar and pool with amazing views of the city. In addition to these two favorite places, downtown has some pretty fantastic old architecture and charm (when you get past the smelly and dirty parts). I am happy to see it is being revitalized. Some downtown highlights are the recently-opened Broad Museum (modern art), the Grand Central Market (open since 1917), the Fashion District (my personal favorite, great shopping), and an amazing collection of street murals just east of "gallery row" (a concentration of art galleries). 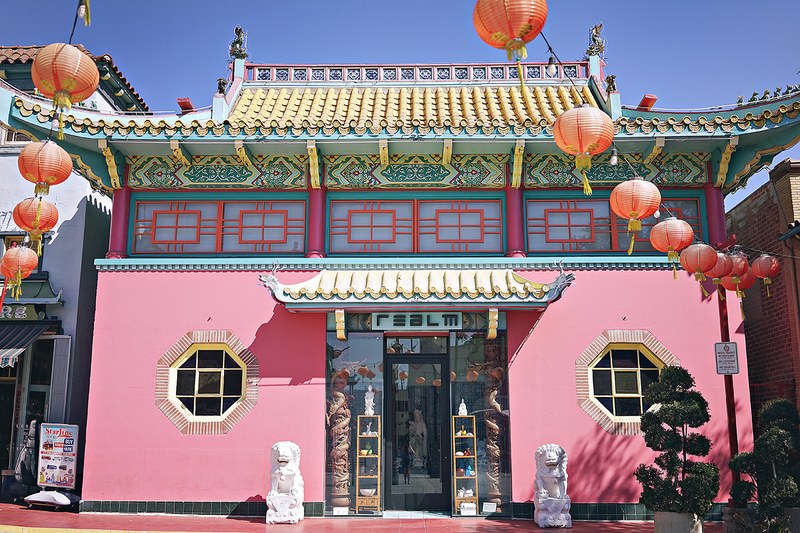 Just north of dtla you will find Chinatown. Another part of town I was excited to see. But every Uber driver told me it was smelly and not worth it. Boy were they wrong, and kind of racist (IMO). I really enjoyed Chinatown. I didn't have time to explore all of it, but I had a great lunch and snapped some pics in one of the main squares. I wore this gingham skirt and my Adidas Superstars to explore dtla in an attempt to be more "LA." For one, everyone wears Superstars and Stan Smiths, especially with skirts and dresses. 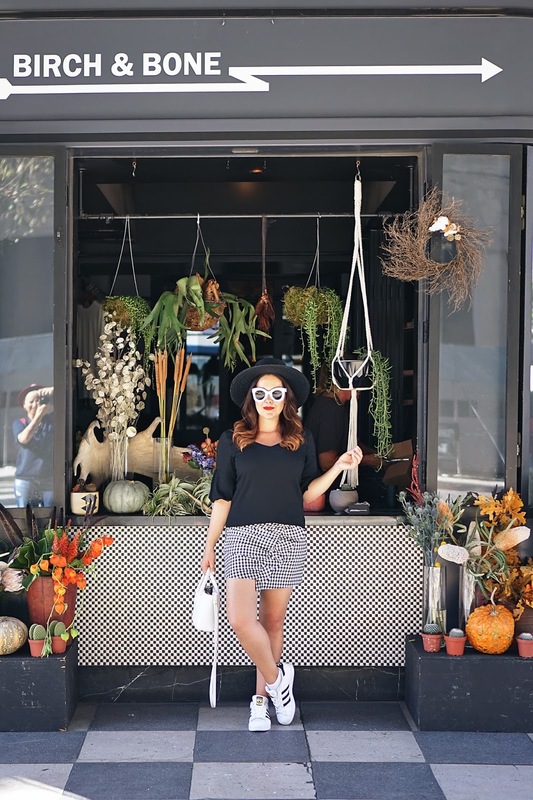 It feels so quintessentially LA -- laid back, cool, and chic all at the same time. My cousin helped me snap some pics and we both loved how my skirt matched this old movie theatre/flower shop. I think a lot of people visit LA but never really see or appreciate downtown. But I really like downtown now and I hope the revitalization continues. You can read about all of my favorite places to eat and drink in LA here. 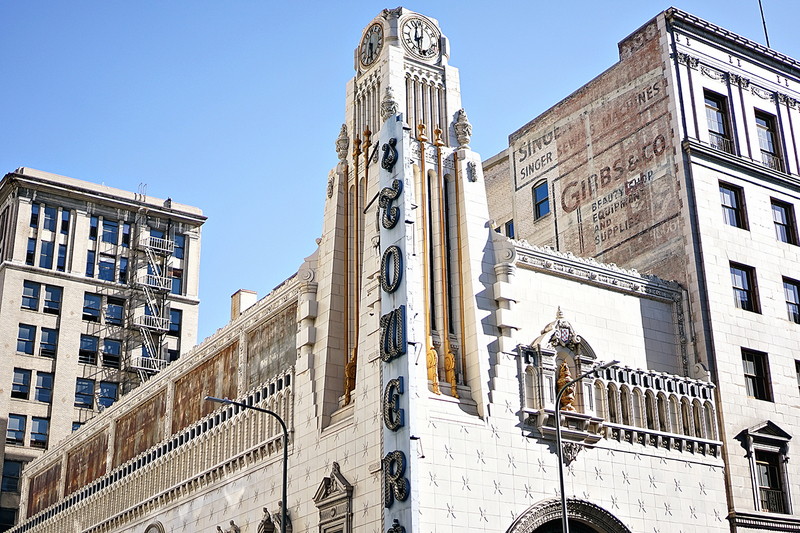 Do you have any favorite dtla spots?